He attended Grand Rapids Central High School, where he met his future wife, Jean Cleland, and a number of his early comedic drawings appeared in school publications such as the yearbook, the Helios. 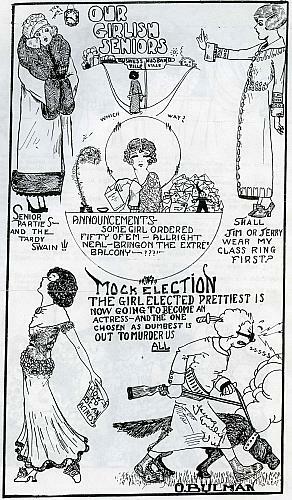 Bulman did work for a year as a cartoonist for a Chicago newspaper. Returning to work in the family business in the early 1920s, he postponed his active work as an artist until the late 1930’s. Then he began to exhibit his work more actively in shows throughout the country. 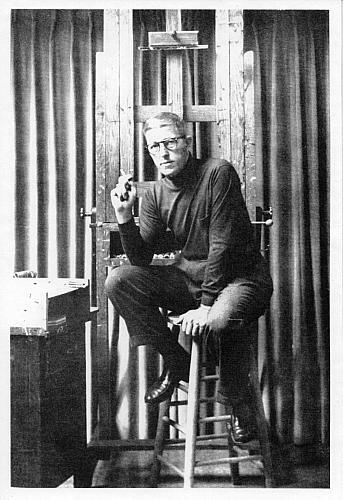 He exhibited at New York’s Society of Independent Artists in 1937, and for a short time around 1948, he exhibited with the Woodstock Art Colony. After sustaining neck injuries, Orville, with his wife Jean, established a winter residence in Palm Beach, Florida around 1946, though they maintained a home in East Grand Rapids until 1974. Bulman loved his newly adopted Florida winter home with its brilliant natural light and color, and he was able to devote more time for painting as he was further removed from the company founded by his father. The influence of the American artist Edward Hopper is evident in some of his earlier lighthouse paintings. 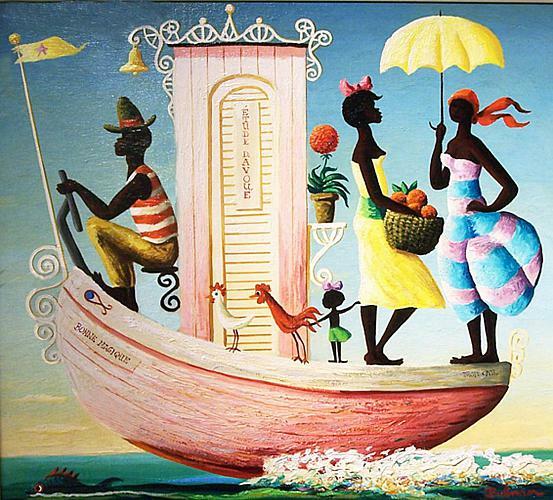 Bulman exhibited frequently in one-man shows at the renowned Worth Avenue Gallery, and he began to travel extensively throughout Florida, Louisiana, Alabama, and Haiti ultimately painting many Caribbean and African-American inspired genre scenes. He remained keenly interested in depicting African-American lives in small Southern towns and cities. In show after show, all of his works sold quickly. Bulman continued to be an active leader of the Grand Rapids business, becoming President in 1954. But the move to Florida gave him more freedom to concentrate on his paintings. 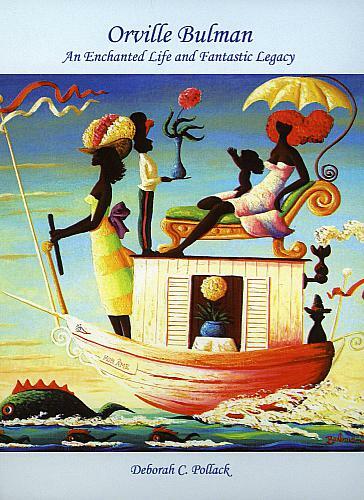 Many of his works used Southern and tropical settings and exotic lands such as Haiti as a backdrop. His work is very colorful, and it has been described as “whimsical fantasy.” In the 1950’s he received notice in a number of magazines including Life and Newsweek which featured two of his paintings. In 1955, he exhibited a one-man show in New York at the Grand Central Art Galleries, debuting one of his “barque” paintings, a recurring theme in his works. 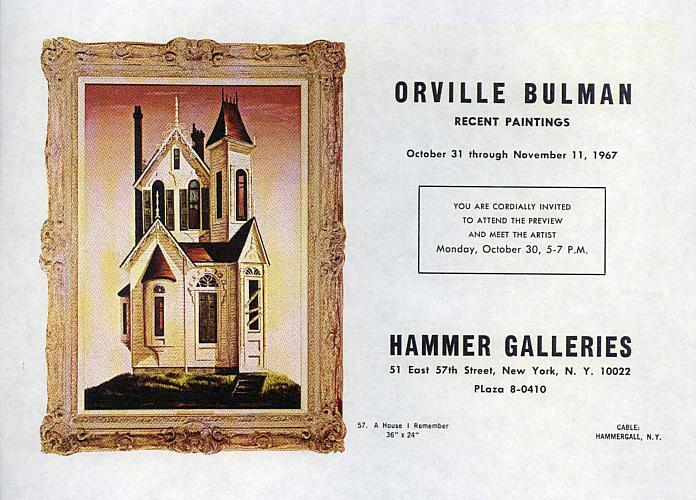 He also had many sold-out shows at the famous Hammer Galleries in New York. Bulman was a darling of society and Hollywood consistently selling out his shows in venues throughout the United States and Europe. Among the collectors of Bulman’s works were the Duchess of Windsor, Henry Fonda, Greer Garson, Joan Fontaine, Robert Kennedy, and Marjorie Merriweather Post. 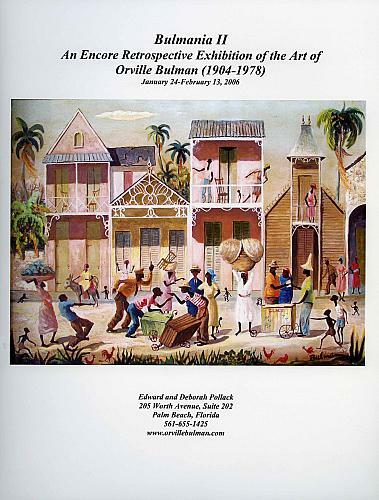 Bulman loved Haiti and its people and felt that they were an inspiration for many of his works. 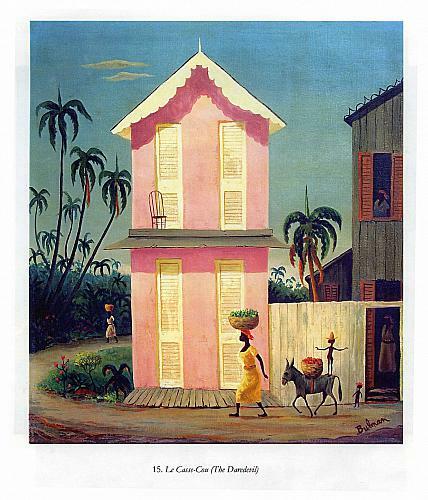 The people of Haiti encouraged him to paint the scenes of their daily lives. He painted images of the people not as an outsider would, but with empathy and grace. He lived with the islanders in the rustic hills for a time and felt as if he were part of their village, deeply experiencing their religion, humor and lifestyle and respecting their way of life. Many of his letters to Jean show his deep love of this culture. 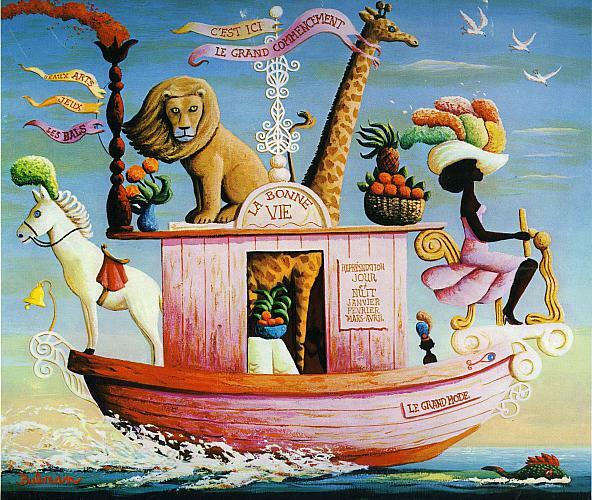 In 1964, the year the Civil Rights Act was passed, Bulman added Bonne Magique to his collection of Barque paintings in honor of that significant occasion. On the right side of the boat, in small letters, are the words "Droit Civil" or Civil Rights. Bulman’s popularity grew throughout Palm Beach, New York, California, the Midwest and Europe. 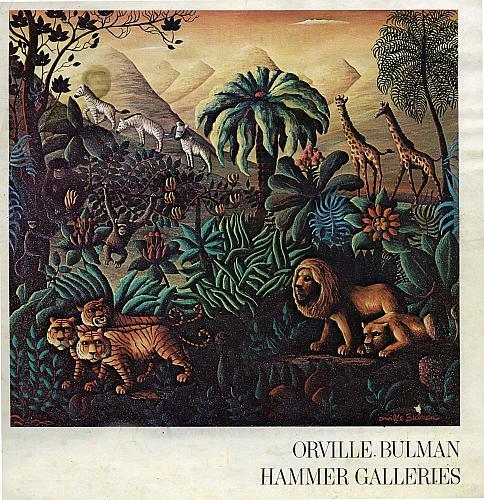 The inspiration of his famous “jungle paintings” of the 1960’s and 1970’s was the work of Henri Rousseau. In commenting on one of Bulman’s shows, the Detroit Free Press stated that his talent is praised widely and connoisseurs clamor to buy his work while he is becoming a national art celebrity to his great astonishment and embarrassment. Orville Bulman, who enjoyed drawing cartoons at an early age, evolved into an excellent and successful artist. His paintings often tell stories, and many depict tropical and exotic settings. Pollack, Deborah C., Orville Bulman, an Enchanted Life and Fantastic Legacy, Blue Heron Press, c2006.